I think time has come for a new outfit post, right? 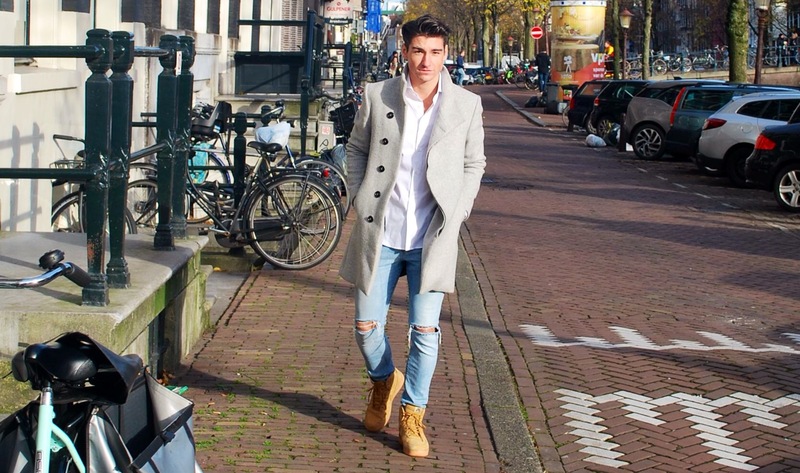 Today I want to share a look with you, which is a mixture of street style and class. 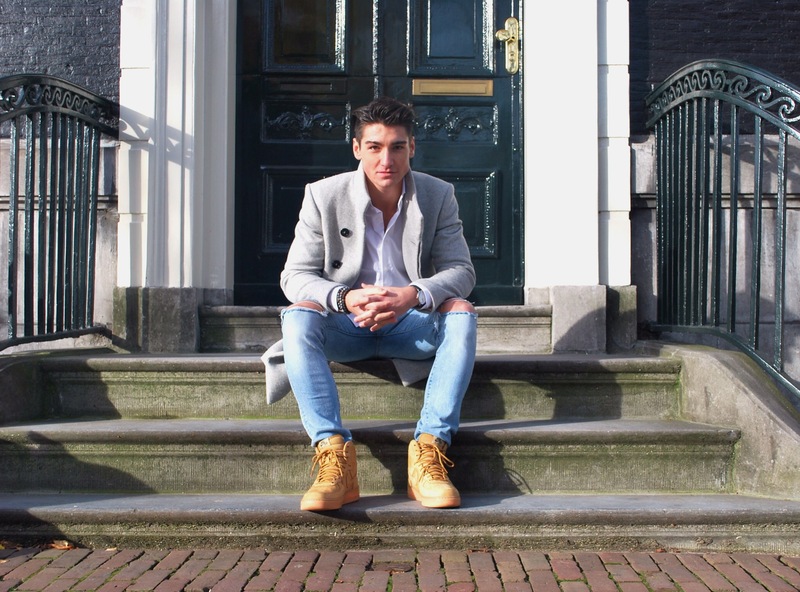 These photos were taken in the awesome city of Amsterdam! The odds were in our favor; we were blessed with blinding sunshine, so taking some cool shots was no problem! I like combining a ripped denim with some more fancy clothing pieces. 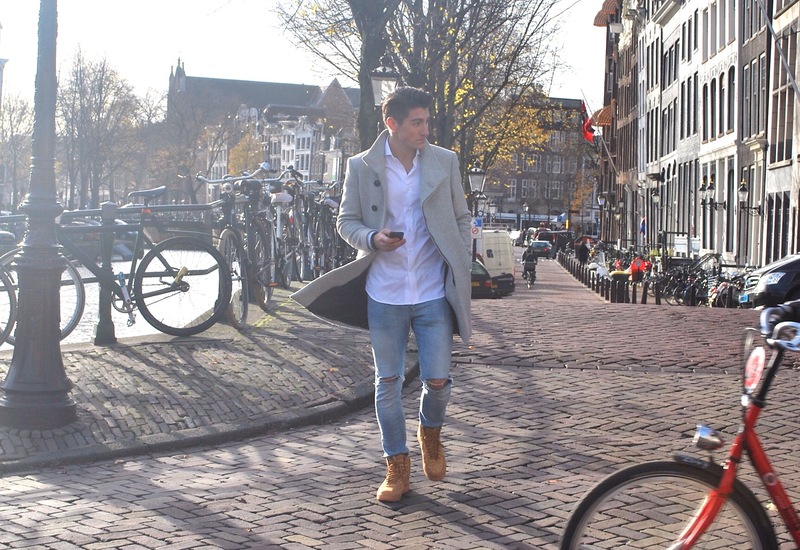 For this outfit, I’m wearing a white shirt of Nolson, which is an Amsterdam based brand. They make shirts out of premium cotton with a slim fit cut. The jeans are from H&M but I personalized it by myself. 10 minutes later, my jeans was ripped on the knees & worth 20 euros more suddenly! The best pair of shoes I bought this winter are definitely my new brown suede Nike Air Force 1. They fit properly with a lightblue jeans. Combing it with a black one is even cooler. I finished this look with a light grey classic coat. Side note : This photo was taken when it was still around 10 degrees outside. I you want to wear the same these days when it’s freezing,I suggest adding a sweater to the look, lol. Have a nice week, guys!